Garage doors are complex mechanisms and that raises even more questions. 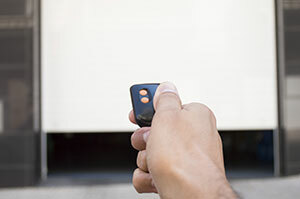 Our customers ask us about garage door openers and how to keep their door resilient. Here we offer several answers to the most common questions. They are simple but have a rich content! They're short but they will be tremendously helpful. The fast and reliable garage door FAQs. Should I install one or two torsion springs? Two torsion garage door springs are better than one, especially if the door is heavy and the wire size is large according to Garage Door Repair Rosemead. Get springs of the same size, so that they will last for the same number of cycles. What exactly is the UL 325? The UL 325 was the official 1993 regulation concerning the production of garage door openers for safety. According to these regulations openers must integrate safety beams and reverse mechanisms as well as timers to open the door if it's not fully closed in 30 seconds. How do I adjust the force of the garage door opener? You need to find the dial or screw at the back of the opener. You have to turn the knob clockwise to increase the force and counterclockwise to decrease it. Our experts suggest that you test the door after each adjustment. It should close perfectly without hanging or hitting the floor. Why are plain doors not good? Apart from overshadowing the entry to your home, plain doors represent a blank look to the street. A well-designed facade will not look better if your door is distractingly bare. Add appeal to your door and home's look with your choice of color, trim, and window insets. Our professionals in Rosemead will guide you in doing it. Do I benefit from opener accessories? You most definitely benefit from the new garage door opener accessories since they are all designed to reinforce security and safety. Rolling code remote controls, the Genie closed confirm clicker, and the Liftmaster MyQ technology with its timer-to-closer and alert systems are all excellent products. Why safety cables are necessary? The safety cables are inserted in garage door extension springs, come out of the spring at each side, and are attached close where the springs are attached. They act as a safety net for the times the springs might break. In this case, the safety cable will keep the spring from frying off in the garage and accidents are thus avoided. They are actually a must! What is the safe guard system by Amarr? Amarr is a garage door manufacturer and lately has patented an innovative safe guard system, which includes garage door parts that cannot hurt people's hands. Sectional doors are designed to leave no gaps in between sections so fingers cannot be caught. They are an excellent solution according to our specialists since Amarr also introduces safe hinges and tamper resistant bottom brackets.